Developed for mobility, flexibility and versatility, this ratchet screwdriver has a strong yet ultra-fine ratchet mechanism. Pop-up push-button bit storage in the Kraftform design multi-component handle. Power bit-grade steel bits. 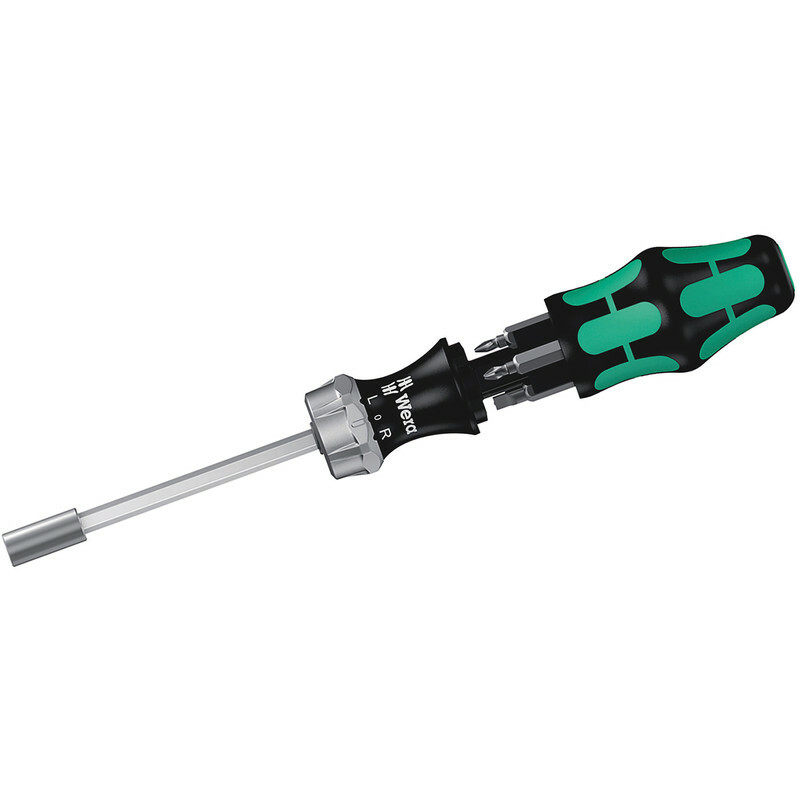 Wera Kraftform Kompakt Ratchet Screwdriver is rated 4.4 out of 5 by 13. Rated 4 out of 5 by scotti from multiple screwdrivers in one i have a tool pouch which is heavy with assorted medium screwdrivers, some blunt. to throw away. Expensive steel shafts wasted . The problem with the Wera is i have mixed up other ends with theirs. I have had it a few weeks. Rated 5 out of 5 by Jinx26 from Good Screwdriver. Really comfortable, Able to get allot of purchase on the handle and the intergrated storage is fantastic. Rated 5 out of 5 by Radders from Good quality Quality Wera item, bought to allow me to carry one item with several driver heads for quick jobs. Rated 5 out of 5 by Matt Vinyl from Well made Great price well made strong,good selection of bits. Rated 5 out of 5 by Dixon from Top of the quality list As i always expect from 'Wera' top quality and great value for money, fits comfortably in the hand and the ratchet system is obviously one to be relied upon and trusted. Thank you once again.